Best Mortgage Inc. is a licensed Consumer Loan Company in Washington State founded in 1992 and located in Bellevue, Washington. BestMortgage.com went online in 1995 as one of the very first mortgage company websites in the entire country. We have always been way ahead of the competition. From the very beginning, the hallmark of Best Mortgage® has been "Honest Advice You Can Trust"®. We provide informational mortgage consulations WITHOUT a high pressure "sales pitch." 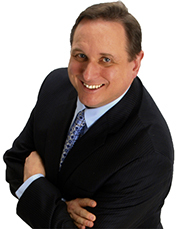 Steve Tytler, well-known Seattle area real estate expert, founded Best Mortgage, Inc. in 1992. For 23 years, Steve wrote a highly popular, award-winning Q&A real estate column published every Sunday in the Everett Herald and other Western Washington newspapers. Over the years, Steve received so many questions and complaints about banks and mortgage companies from his newspaper column readers that he decided to start Best Mortgage® with a decidedly pro-consumer, customer-service oriented approach. Steve is a licensed real estate broker with more than 30 years of experience buying, selling and investing in real estate. His wide range of real world experience makes him an invaluable asset to Best Mortgage® and our clients. Washington State Loan Originator License #MLO-118852, NMLS ID# 118852. 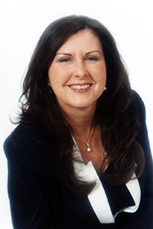 Nancy Tytler has been with Best Mortgage® since 1996. Together, Steve and Nancy Tytler have more than 50 years of combined experience in the real estate and the mortgage industries. Our goal is to help you determine the mortgage loan program that meets your individual financial needs and goals rather than "selling" you a loan program that may pay a higher commission. Washington State Loan Originator License #MLO-76920, NMLS ID# 76920. We want you to consider Best Mortgage® to be your trusted loan advisor. Why should you trust us? Because much of our business comes from repeat clients and referrals, the rest comes from this website, our popular Home Buyer Truth and Reverse Mortgage Truth reports and endorsements on Seattle radio stations. If we don't treat you right, you won't come back -- and more importantly, you won't tell your friends and family to use Best Mortgage®. If we don't meet or exceed your expectations, leaving you with a positive mortgage experience, we will be out of business. Most other mortgage companies don't care if you are unhappy at closing because they never expect to see you again. They just go back to marketing for NEW customers. At Best Mortgage®, we count on repeat clients and referrals to keep us in business. That's why you can depend on the Best Mortgage® team to give you honest answers and fast, dependable service. Some people think that all mortgage companies are basically alike. Money is money, so what does "good service" really mean? It means that we make the loan application process as easy and painless as possible; we are happy to spend time answering ALL of your questions rather than rushing you through the loan process; we will NOT pressure you into making a decision, or steer you toward a loan product that pays a higher commission than the loan program you prefer; we will do whatever it takes to close your loan ON TIME, at the interest rate you were quoted and with NO HIDDEN FEES. In return, all we ask is that you refer your family, friends and co-workers to Best Mortgage® so that we can give them the same level of personalized service. The Internet may seem like an impersonal medium, but it is a very useful tool to make the loan process easy and convenient for our clients. Most of our clients prefer to complete their loan applicatons online from the comfort of their home or office. But if you prefer to meet us in person, we encourage you to come to our office. We are conveniently located next to the I-90 freeway near the Factoria area of Bellevue. Whether you complete your loan application online or in person, we look forward to seving you. At Best Mortgage®, we are committed to building long-term relationships -- one happy client at a time.